Police are appealing for witnesses after a cyclist indecently exposed himself to two women in Zetland Park on Thursday evening. 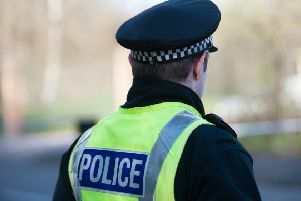 Officers say the incident follows a number of other similar offences allegedly committed in Grangemouth, over recent months, including in Tummel Place, Bowhouse Road, Wood Street and Myreton Road. The women were walking in the Park’s Drummond Place at around 6.45pm when the latest offence is said to have taken place. When the man cycled off they immediately contacted the police. The suspect is white, between 18 and 30, and was wearing dark clothing with his face obscured. Anyone who can assist in identifying him is urged to contact police immediately. Detective Inspector Jim Thomson from Falkirk CID said: “Over a number of months we have received similar reports of public indecencies within Grangemouth, where the suspect is seen to be in possession of a bike. “As such, we are treating these incidents as linked and would urge anyone with information that can help us trace this male to come forward. “None of the witnesses have ever been threatened or spoken to by the suspect, but these are upsetting experiences for them and we are keen to ensure he is apprehended as soon as possible. Those with information should contact Police Scotland on 101 or Crimestoppers on 0800 555 111.